To figure out why some of his elementary school students struggle with reading, Daun Kauffman sometimes has learned as much in home visits as in his classroom. Kauffman now teaches 2nd grade at Juniata Park Academy, but for more than a decade he taught in his own neighborhood in Hunting Park, where families struggle to balance so many life issues. “Students’ challenges in Hunting Park quickly become more clear in person,” he says. “There’s usually only one adult caregiver, and they’re often preoccupied with being sure the children have food and clothes first. There are commonly minimal furnishings and often no car. It’s not surprising that there are often little-to-no print resources available in the home. Trauma and stressed home environments, including parents who have difficulties in reading themselves. Lack of quality child care and pre-K opportunities. Lack of classroom resources such as age-appropriate books. Class sizes that make it difficult to give special help when needed. Health and learning issues, from poor nutrition to asthma to dyslexia. School District officials say asthma is particularly troublesome since it is likely to lead to excessive absenteeism. And low parental literacy rates have also been associated with worse asthma care measures in children. “It’s layer on top of layer,” says Jeanne Lehrer, vice president for youth behavioral health at NorthEast Treatment Centers, which serve Philadelphia and Delaware. “Sleep, nutrition, maybe trauma on top of that. “You have a very stressed school system in Philadelphia. You have kids who act out because they can’t read and then it becomes a behavioral issue. Sometimes they’re up all night and they come to school unprepared to learn. It’s the challenge of peeling the onion. A frequently cited 1995 study by University of Kansas child psychologists Betty Hart and Todd R. Risley shows the different linguistic worlds in which children spend their earliest years. Hart and Risley found that in professional families, children heard an average of 2,153 words per hour. In working class families, they heard an average of 1,251 words per hour and in public-assistance families, the average was 616. By age 4, a child from a public-assistance family could have heard 32 million fewer words than a classmate from a professional family. Given that ages 0-3 are generally considered such key years for child linguistic development, the question becomes: Can the gap be closed for children growing up in poverty? “Truth be told, we don’t know,” says Kathy Hirsh-Pasek, a Temple University psychology professor and nationally recognized expert on early childhood learning, whose research examines the quality of conversations with children. 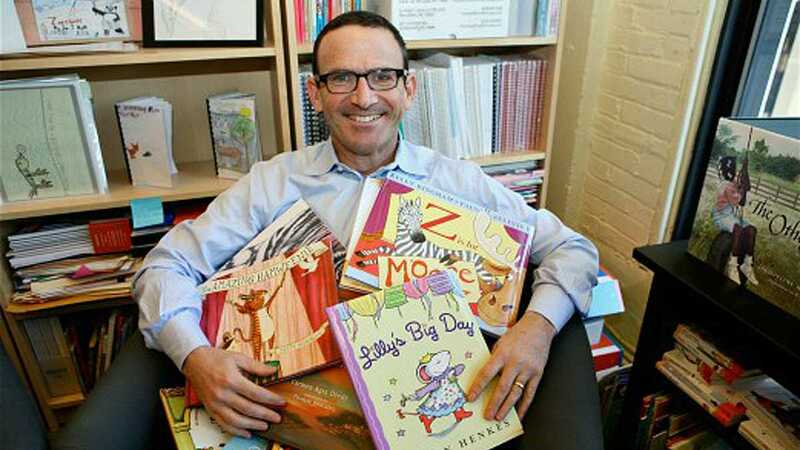 One of the optimists on what schools can accomplish is Joel Zarrow, executive director of the Philadelphia-based Children’s Literacy Initiative, which is training and coaching teachers and providing books in 35 District schools and 12 charter schools. But he says that many elementary classrooms do not build on that readiness. “Teachers often don’t have the training and basic block skills to teach early literacy. Teacher certification programs are so crammed with other kinds of requirements,” he says. In the case of English language learners students, he asks, “Are there Spanish books available for them to read in kindergarten and 1st grade? Kauffman, the Juniata Park teacher – who blogs on public education – also mentions needing to have the right books. He points to research on the importance of students being able to read books they have chosen that are appropriate to their level rather than using books beyond their current level. For Juniata Park kindergarten teacher Daniel DiMartino, problems in preparing a child for reading are both old and new. Philadelphia’s deep poverty is certainly a cause of the city’s literacy problems. The University of Pennsylvania’s Walter Licht and other historians trace Philadelphia’s deep poverty to the gradual erosion of manufacturing jobs dating back almost a century. Working with both adults and children to break the cycle of multigenerational poverty is a tricky business, says Michael Westover, executive director of the Center for Literacy (CFL). But it is necessary to improving literacy rates. Renyi says that parents must be engaged in the process. That includes, she says, parents being able to use computers to help with their child’s reading. “You want parents engaged with technology, not afraid of it,” Renyi says. CFL’s Family Literacy Program teaches parents not just to read, but how to read to their children. “If we’re reading ‘The Very Hungry Caterpillar,’ we’re teaching them to make cutouts that reinforce the reading,” Westover says. In many cases, though, a mother’s success in finding a job means taking time away from her kids. “The Catch-22 goes on forever,” Westover says. “They go to class, they do well and then they’re out,” perhaps to a shift work job with a schedule that has them away at homework time. With the mother working, the children may be looked after by the father, other relatives or neighbors, Westover says, and some of them may be unable to read themselves. Having one consistent caretaker works best, he says. And then there is the sheer volume of need. “There are 225,000 [adults] in Philadelphia who need our service and we can serve 1,600 [a year]. That’s crazy,” Westover says. Still, there are voices of optimism. Kauffman says he consistently sees concerned families who do care deeply that their children learn to read, and to read well. And while schools can’t wipe away the effects of poverty, says Zarrow, they can more effectively combat it. “We do have control over what teachers learn, what teachers teach, and how they’re supported,” he says. This is article will appear in the Notebook’s forthcoming print issue, due out next week, focusing on early literacy and Philadelphia’s Read by 4th! campaign. Previous PostThe View from Japan: Common Core is a disaster in the makingNext PostWhat’s More Important? Test Data or Life Data ?